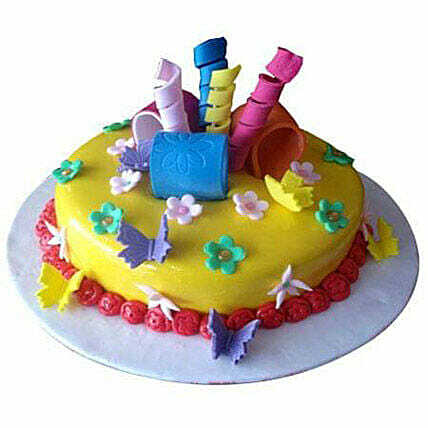 This will be a kids favourite cake which has been adorned with cute little flowers making it look colourful and chirpy. An apt cake for a kids birthday party. Let your tiny tots smile again and eat greedily this luscious cake that is appealing to eyes and taste buds equally. A true sweet delight for your kids.